I know I’m showing my age there, because I remember these commercials being on TV. Do you remember those? I actually kind of wanted a chia pet for a while as a kid, but now I’m not really sure why. Yes, chia seeds and the green sprouted hairs on chia pets actually do come from the same plant. Confession time: I don’t pay one lick of attention to health food trends. The fact that an ingredient is touted as having lots of nutritional benefits isn’t what draws me in. Maybe later in life I’ll care more about that kind of stuff, but right now the things that are the most appealing are how easy the ingredient is to use, the cost, and the taste. The number one thing that drove me to try chia seeds is the fact that chia seed pudding is described as tapioca-like and I love tapioca. It’s also described as incredibly easy to use, just mix up a few things, stick it in the fridge, and the next morning– lo and behold your breakfast is ready and waiting for you! I want to get better at doing some action photographs of me working on the recipe that I’m posting. But I actually made this chia pudding in a butter container that I’d saved to reuse. Y’all do that too, right? Well, it might be earth conscious to recycle your containers, but on a food blog you can’t post photos of yourself mixing up recipes in butter containers. It doesn’t look very nice or professional. Case in point, last night I made this, stuck it in the fridge, and started on making dinner, which was cheese manicotti, steamed asparagus, and everything bread in case you’re curious. 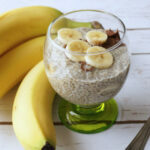 This chunky monkey chia breakfast has made a liar out of me. Before I discovered this combination, I wouldn’t ever eat peanut butter in something creamy like a pie or ice cream. I hated peanut butter in creamy dishes. I swore it was terrible. My in laws swore I was crazy and said yay more for us ya nut job. 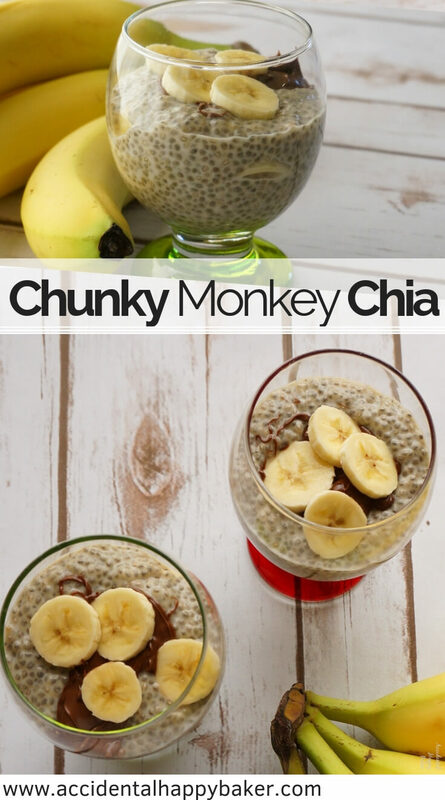 Chunky monkey chia might be a turning point for me. Sweetened up with honey roasted peanut butter, more honey, bananas, and tiny drizzle of hazelnut spread on top. I realize that I kind of fattied it up with the peanut butter and hazelnut spread just a bit, but I don’t care and neither should you. It’s sooo good and you deserve good things in life. 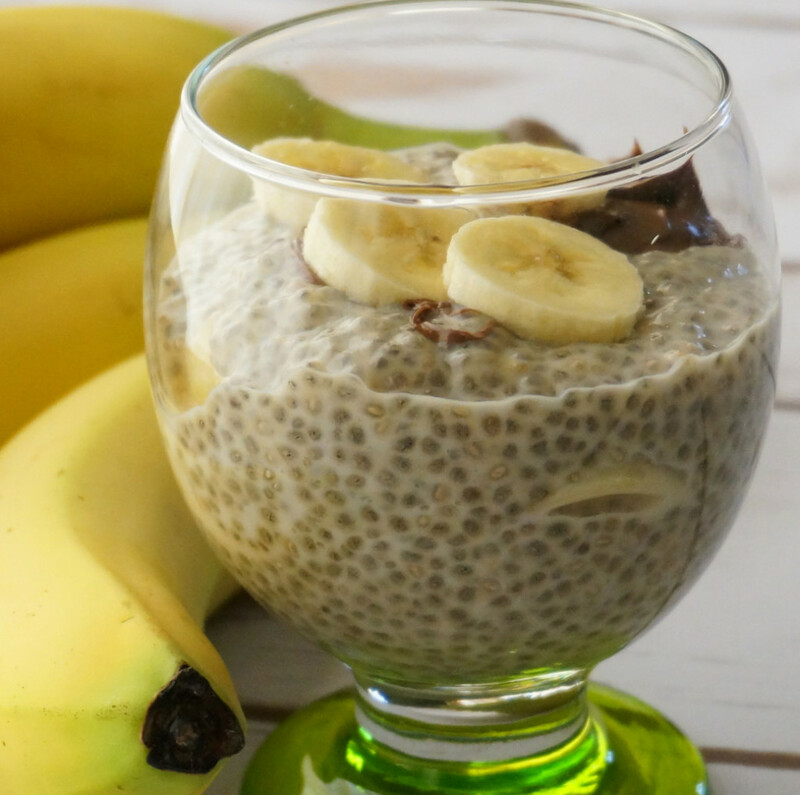 Chunky monkey chia breakfast pudding is incredibly divine, sweet and creamy, loaded with like heath stuff of a healthy nature (I told you I don’t know anything about health food) and it will perk your morning right up! This is one you really should try. 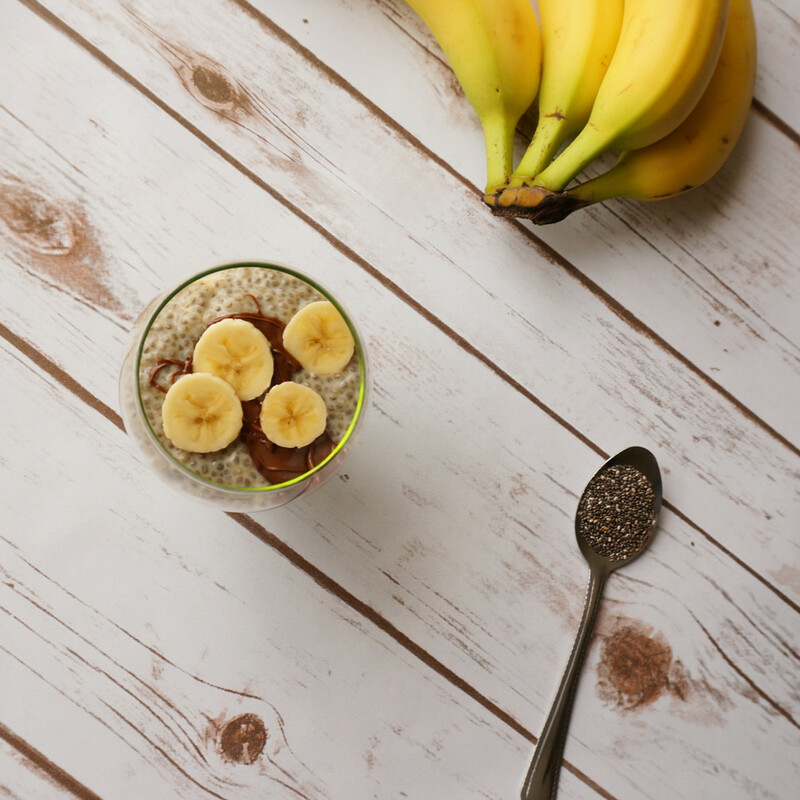 Honey and peanut butter sweetened chia seed pudding layered with bananas and topped with hazelnut spread. Slowly mix the milk in, blending it well. Refrigerate at least 3 hours, but preferably overnight. 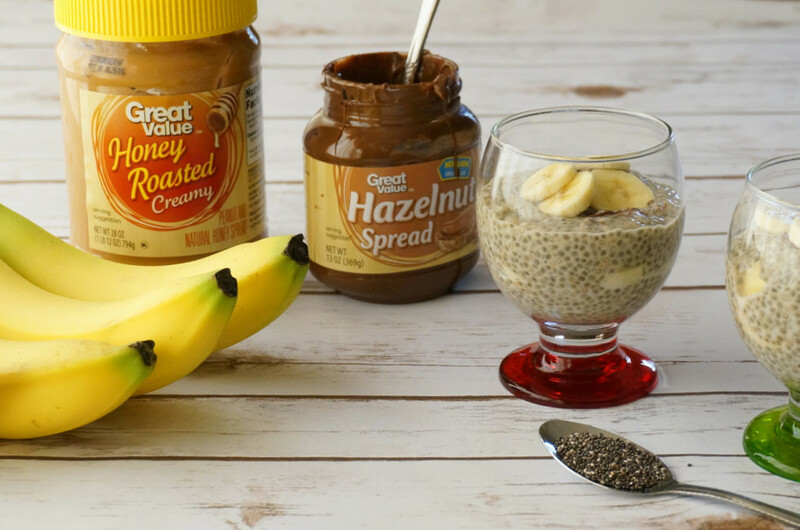 Layer with sliced bananas and top with a drizzle of hazelnut spread. Any suggestions if my boyfriend dislikes peanut butter? Or maybe can I omit the peanut butter and get the same result? Of course Kendra. You could use cashew butter, nutella, biscoff spread, almond butter, anything that is going to have a similar creamy consistency like peanut butter should work well. I gonna make this, I love tapioca (Grandma Mary made the best) and John loves peanutbutter. And I would like to chime in I always do generic except for Ice Cream and Orange Juice. I love that you not only use trends that are worth their weight, but that you use Great Value. 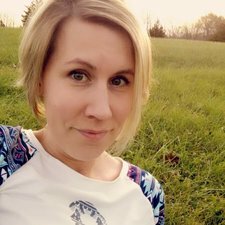 A food blogger that does not make me feel inadequate with my plethora of generic products I would actually buy and own. I’m so happy to read your comment, Farin. When I was creating that post, I was like hmmm I don’t know if I should put those in the pictures or not. But it’s real, with 4 kids, we’ve got to go generic brands unless it’s something that either doesn’t come in generic or it’s a product we (i.e. my husband) feel strongly about. (He’s very particular about taco sauce and steak sauce.) Got to pinch those pennies where you can! Butter and sour cream containers work great for food storage purposes. I have a whole set of Country Crock tupperware 😉 Also, can I just say your pictures are looking great! You know, once upon a time I used to have nice Tupperware and Rubbermaid containers, but the nice ones are the ones that always seem to get taken outside for the boys “experiments” and ruined. Now I reuse plastic containers all the time because it’s not as big a deal if they destroy them. And thank you! I got some new props when I visited my aunt in the city last weekend. that looks like an awesome break from oatmeal! Well…considering that I am not the world’s biggest oatmeal fan I would wholeheartedly agree! It is! You should try some out for yourself Gina and see if you agree.